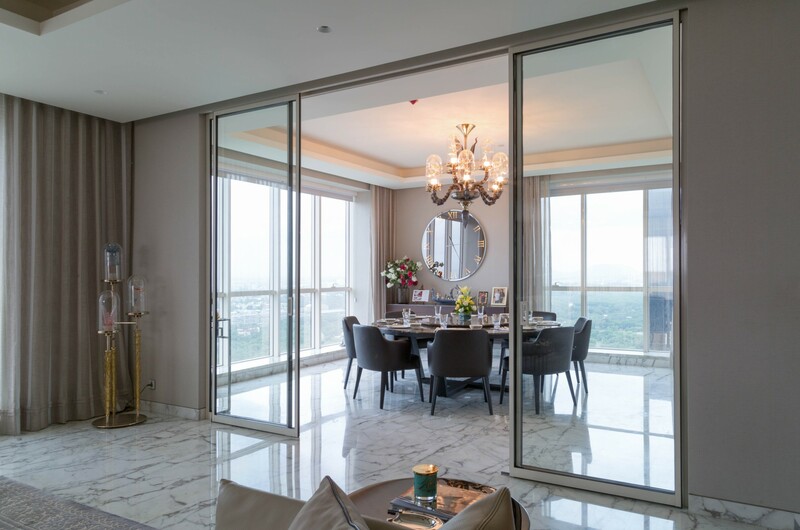 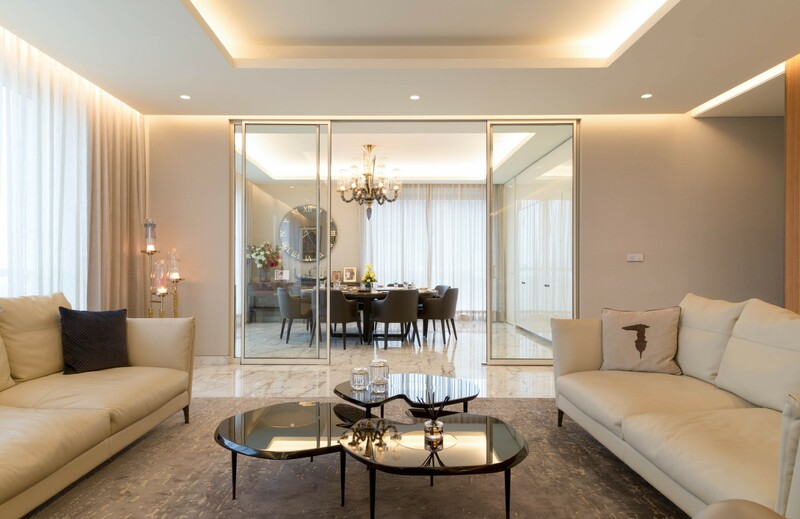 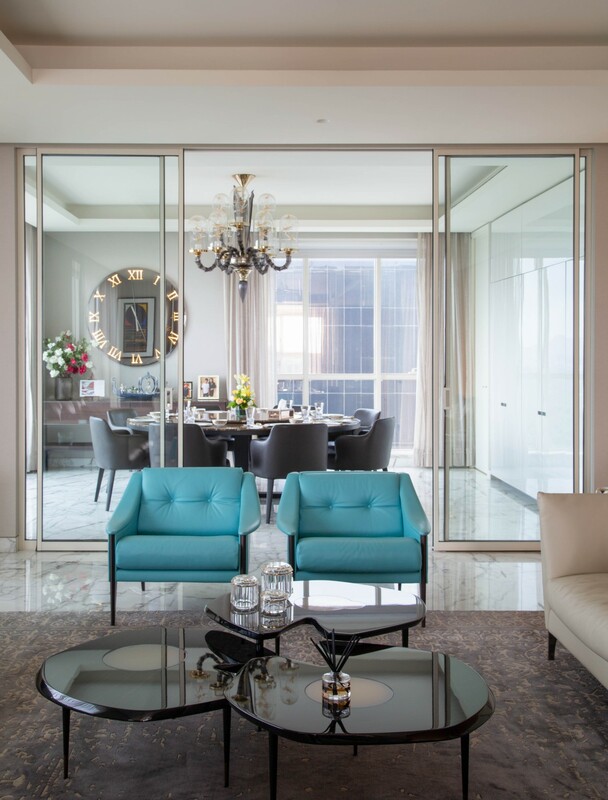 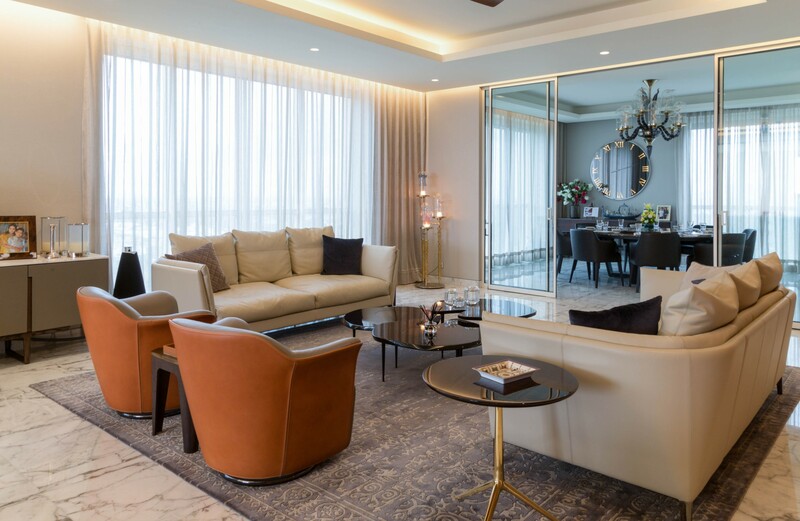 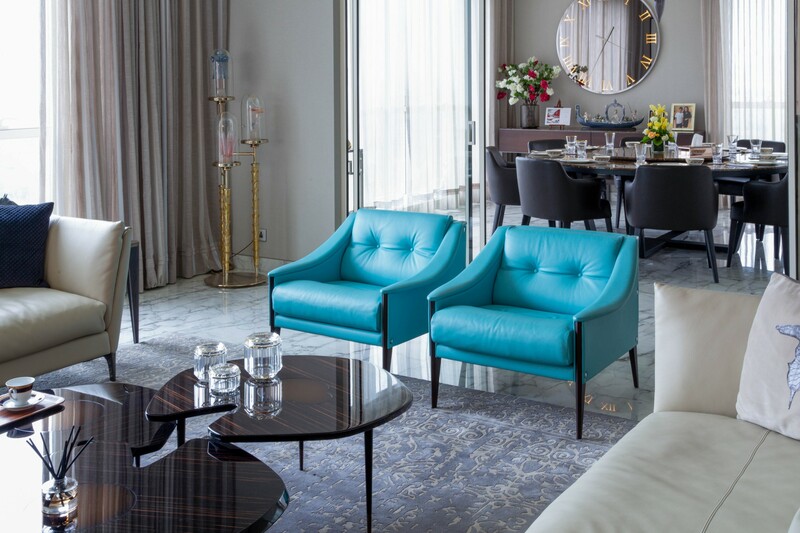 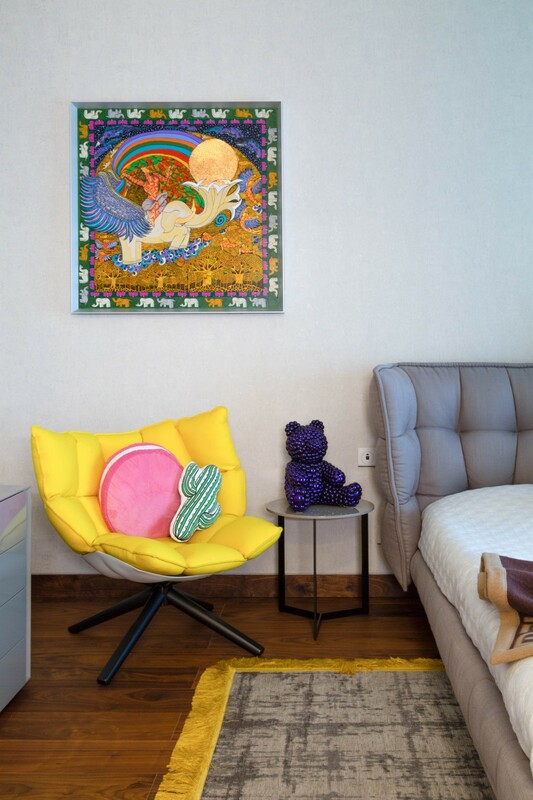 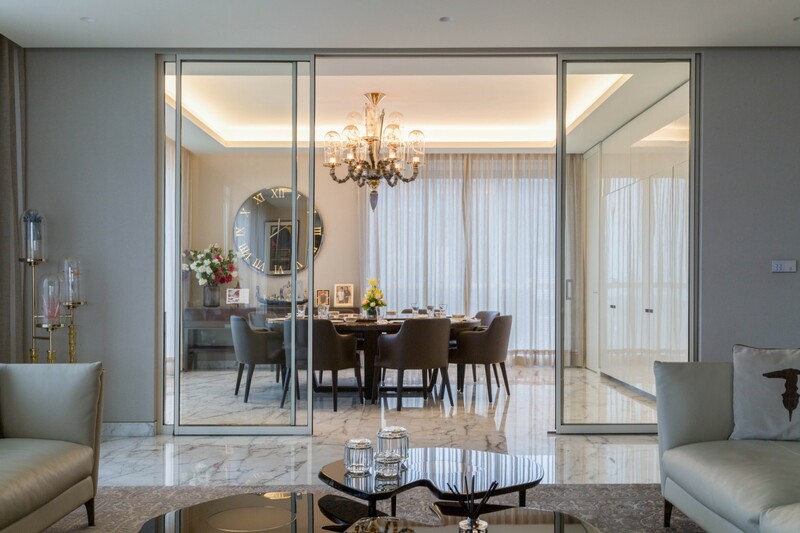 On the top floor of one of the most prestigious skyscrapers in the South Mumbai area, the most exclusive residential area of the Indian metropolis Matteo Nunziati designed the interiors of a 400 sqm penthouse. 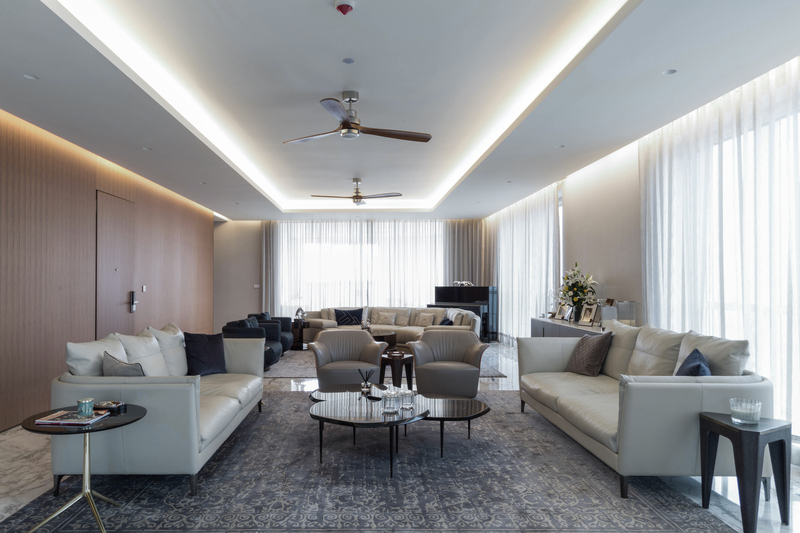 The apartment occupies an entire floor of the building. 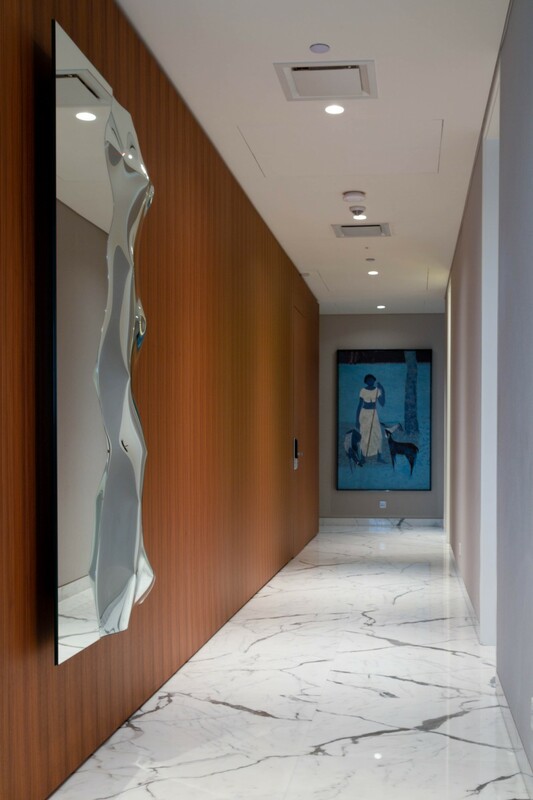 The calacatta carrara marble imported from Italy was chosen for the living room floor. 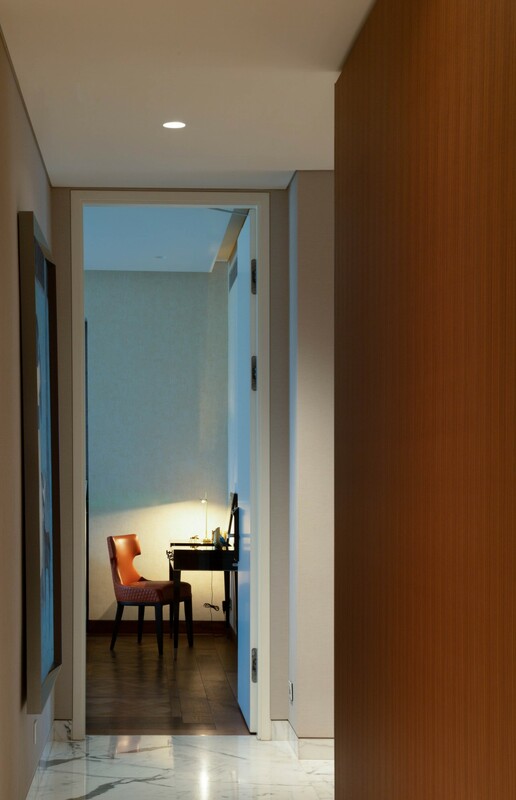 The central part where the technical rooms are located and which serves to support the entire structure called "Core" revolves around the central part of the building and has been cladded in a walnut wood paneling with retractable doors custom made by the Italian company Lema that also supplied custom cabinets and furniture. 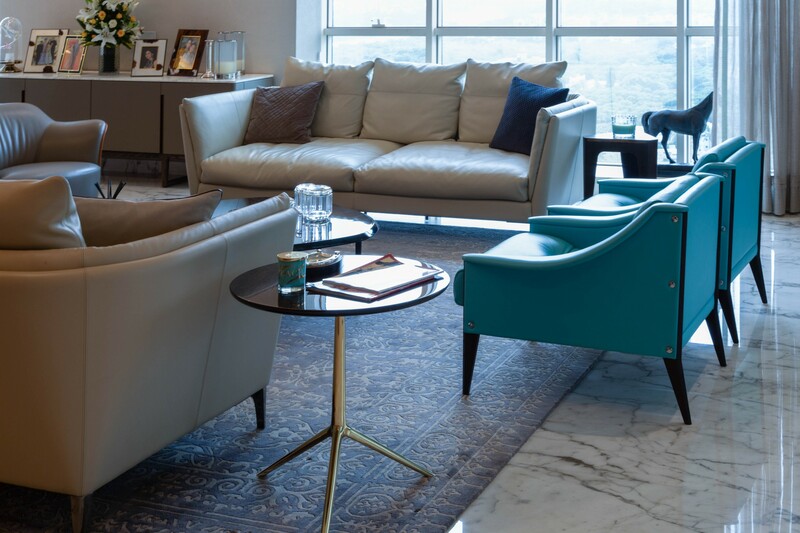 For the furniture the best Italian design brands have been selected and the colors chosen for the covering and the accessories are generally tone on tone, but also in contrast, bright colors that are combined with softer and reassuring colors to create a sort of chromatic break such as the blue leather covering of the dezza armchairs designed by Giò Ponti and produced by Poltrona Frau. 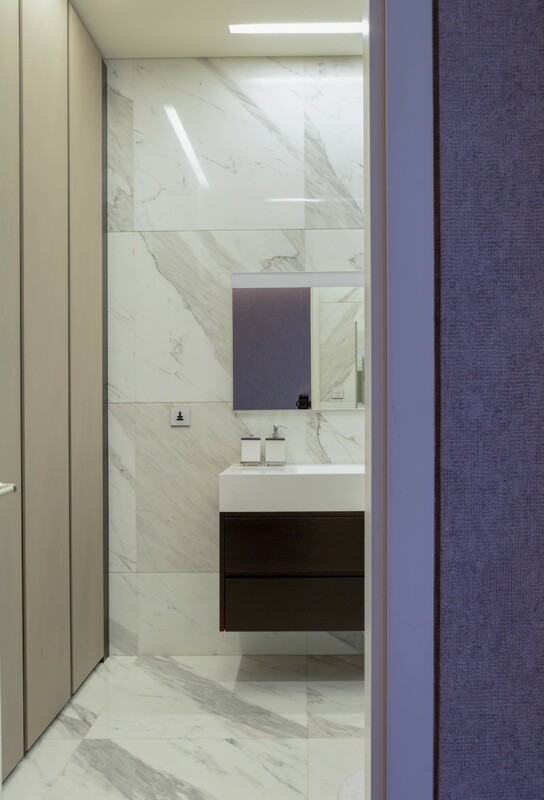 Large calacatta carrara marble slabs were used for the bathrooms. 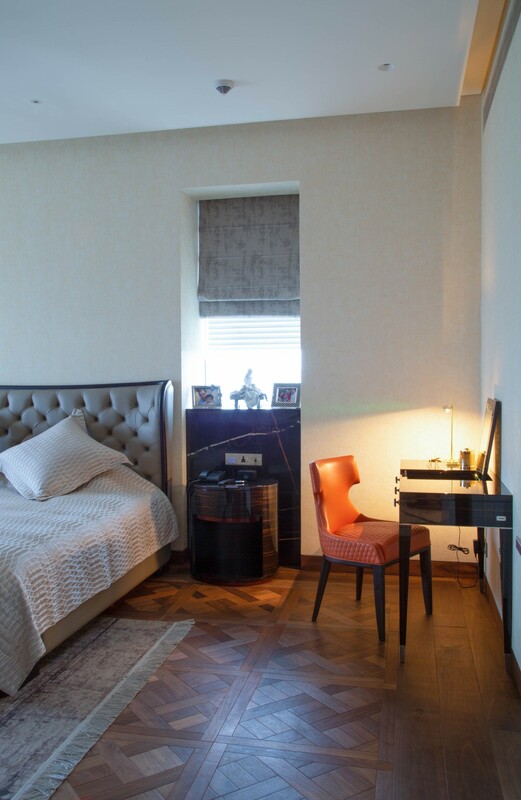 In the bedrooms the floor is made of eucalyptus wood produced by Listone Giordano. 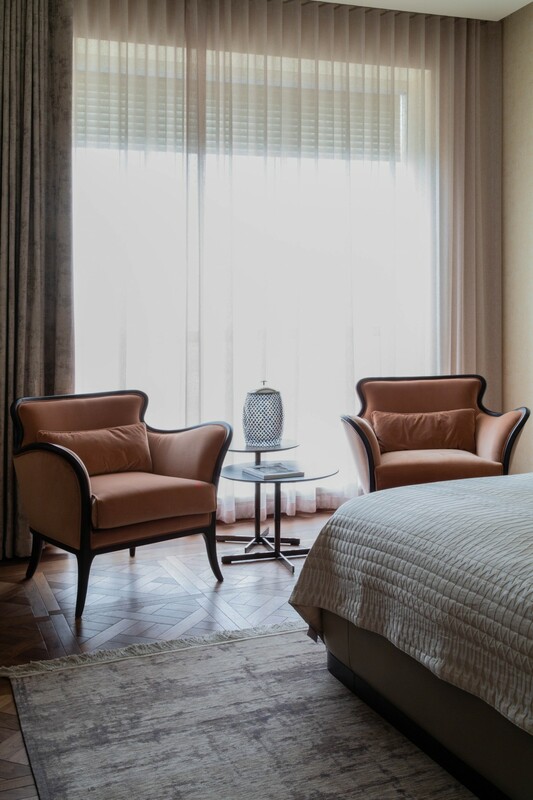 The atmosphere is refined and elegant and the final result is a bourgeois contemporary classicism.